Zhangjiagang EBA Machinery and Equipment Co.,Ltd. is located in Leyu Industrial Zone, Leyu Town, the scenic city of Zhangjiagang, Jiangsu Province. It is a specialized beverage packaging enterprise which has the function of research, development and manufacture. Since its foundation, we devote all the strength to the new field of beverage packaging machine technology and absorb the advanced technology from German and Italy. The company's products are mature, high-quality, not only popular internal, but also export to Russia, South Africa, Thailand, Philippines, Pakistan, Malaysia, Brazil, Sudan, Sierra Leone, Egypt, Kenya, Saudi Arabia, Yemen, Oman, the United Arab Emirates, the United States, Canada, and many other countries, well received by most customers. Company insists the management ideas of market-oriented, technology-first, quality of life, faith-based, service paramount, and has established perfect quality assurance system. 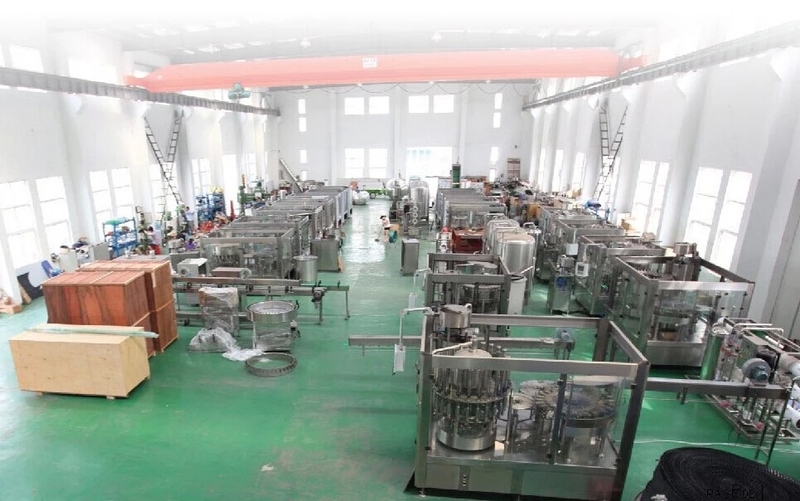 We are sincerely providing the customers the following products: Mineral Water 3-In-1 Filling Machine, Juice 3-In-1 Filling Machine, Carbonated Drink 3-In-1 Filling Machine, Automatic Blow Molding Machine, 5 Gallon Bottle Series Unit, complete sets of Water Treatment System, automatic batching, mixing system, a variety of sterilization equipment, complete sets of beverage packaging equipment and other follow-up packaging equipment. We have advanced technology, scientific management, excellent product quality, fast and best after-sales service. According to customer demand, our services include technical consulting, graphic design, installation, commissioning and technical training. The company will, as always, adhere to the marketing idea "credibility of the first, service paramount, high-quality," constant innovation, benefit to each customer. Zhangjiagang EBA Machinery and Equipment Co.,Ltd. is always with full of enthusiasm and sincere attitude of cooperation, win-win business philosophy, warmly welcome to visit us!